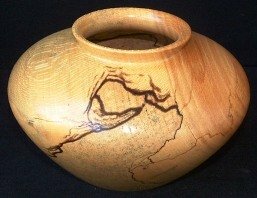 Sycamore turning wood. 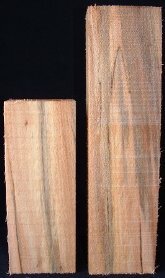 The sapwood is white to light pink and the heartwood is light to dark reddish brown. This turning wood has a fine close texture with interlocked grain. It contrasts well with other species. 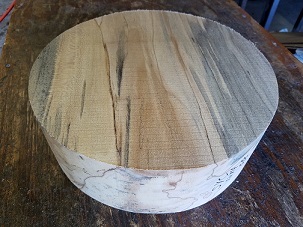 Some turning blanks contain black spalt lines. This turning wood machines well and is resistant to splitting due to the interlocked grain.